* Prices are valid for flights ex Sydney, Melbourne, Brisbane & Perth. For flights ex Adelaide add $30 per person. The Celebrity Silhouette® is impressive, with chic upgrades to the iconic Lawn Club with more space to relax, and socialize in the fresh sea air, plus the Lawn Club Grill offers an interactive outdoor grilling experience. After a day of adventure unwind in your own cabana-styled haven at The Alcoves. Inside, embark on a culinary adventure at Qsine® where food and wine are ordered from an iPad® menu. 85% of the ship's luxurious staterooms are enhanced by sweeping veranda views. We've created an extraordinary vacation experience. Again. 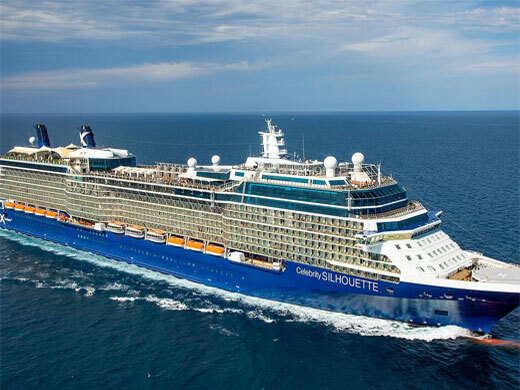 And in January 2020, Celebrity Silhouette® will be reimagined as part of The Celebrity RevolutionSM, the $500-million fleetwide modernization introducing newly added suites, redesigned accommodations, luxuriously upgraded culinary and spa experiences, and so much more.